Hello there I hope everyone is well this afternoon. 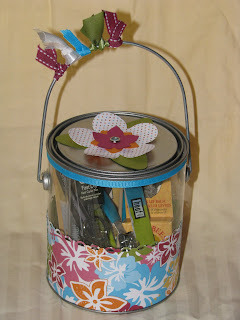 Here is a quick and cute project I did for one of my daughters teachers. Using tropical party Dies and paper, to make it fun and summery. Then I filled it with nail care product, cause who doesn't want perfect toe nails during the summer months.